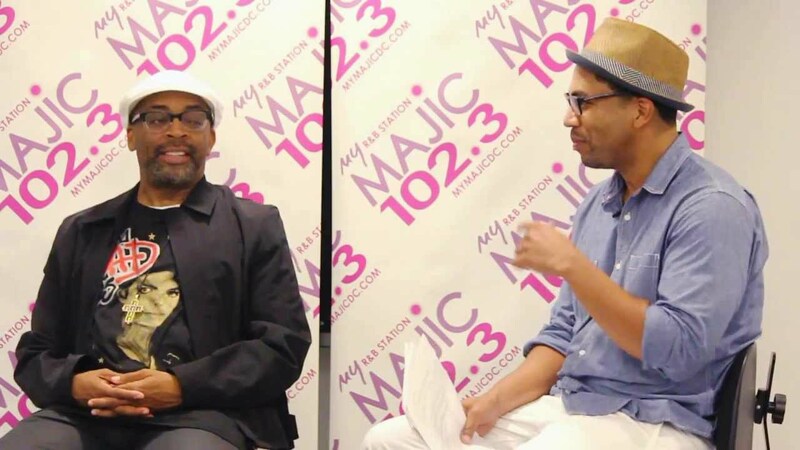 Veteran On Air Personality Adimu Colon (pictured above with Spike Lee) is hosting the Quiet Storm on 105.3 WDAS FM in Philadelphia for regular host Tony Brown. Adimu has come on board to fill in for Brown, who has been off the air for most of the year due to an on-going medical condition. Adimu, a Virginia native, has an extensive resume which has included on-air positions at some of the top urban station in New York (WBLS) , Los Angeles (The Beat KKBT), and Washington, DC (WPGC, WMMJ). He was also seen regularly on BET, as one of the host on the program Teen Summit. His most recent regularly on-air gig was at Majic 102.3 in D.C. Adimu has received two NAACP Image Awards, an Achievement Award from U.S Secretary of Labor Alexis Herman, and was the recipient of the 2000 McDonald’s Corporation Leader in Media Award. Complimentary to his talents, Adimu was selected to host the Million-Mom March in Washington, DC. He is actively involved in the community and established the Adimu Colon Youth Foundation in 1999. Below Adimu interviews Comedians Huggy Lowdown, Chris Paul,and Red Grant on air at a Washington, DC area event. Looks like Adimu filled in for the vacationing MiMi Brown. She has hosted The Quiet Storm on the station since Tony Brown departure from the airwaves at WDAS while he is dealing with a medical condition. Here's more on Tony Brown from our site.